Test your soil – Once the snow melts, you should test your soil’s pH (acidity level) and its available nutrient level. Most vegetables and flowers prefer a soil pH of 6 to 7. They also prefer plenty of calcium and magnesium. You can obtain a soil testing kit from the University of Vermont Extension office or at many feed and garden stores (Guy’s Farm & Yard, Agway, Garden Supply). 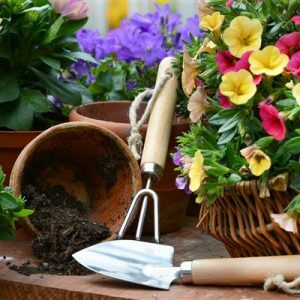 Fertilize your soil – Adding lime to your soil is a great way to adjust the pH.. The lime is also a good way to add calcium to the soil. If your soil is low in magnesium, apply some limestone. 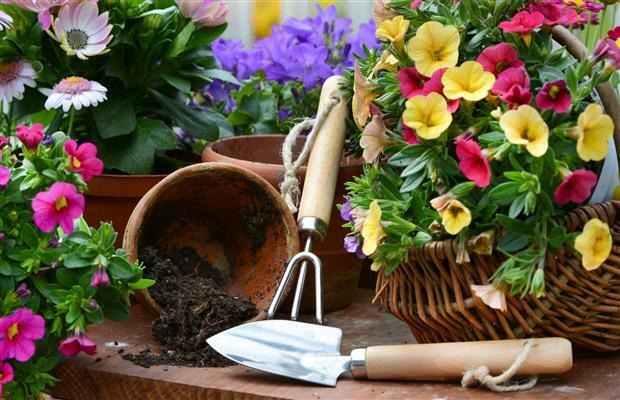 Add some organic fertilizer such as compost or well-rotted manure. Prepare your soil– You will want to rototill the soil to a depth of eight to ten inches to in the lime and fertilizers. Break up any clumps to help aerate the soil. You can also use a shovel to loosen the soil if you don’t have access to a tiller. Weed Control– Consider using black plastic to control weeds. The plastic also helps warm the soil. Using plastic cuts down on the need to use toxic weed killer products and saves your back from bending over to pull out weeds. Buy your seeds – Seeds are available now in most garden and hardware stores. Depending upon what you buy, some may need to be started indoors – like tomatoes, peppers, broccoli. Other seeds can be sown directly in the soil as soon as the soil can be worked – like kale, spinach and salad mixes. Pest Management – Use good bugs against the bad bugs. Ladybugs are a true, natural predator to insects like aphids or scale insects that are harmful to your plants. Believe it or not you can actually buy ladybugs on line. You can also use natural pesticides that are sold in stores or can also be order on line. Using toxic pesticides on your plants is not recommended. Remember, you are going to be eating the vegetables your plants produce so go as natural as you can. Plant Plants that deter unwanted insects – Most herbs naturally repel a good deal of unwanted and annoying insects. Lemon balm and basil repels mosquitoes, bay leaves repel flies, chives repel Japanese beetles and aphids, fennel repels slugs and snails. Ornamental flowers such as Allium, repels numerous insects that plague vegetable gardens. Marigolds are also effective, even rabbits shy away from them. They area a common flower at a reasonable price. Other flowers that are effective in repelling insects include Nasturtiums, Petunias, and Chrysanthemums.